This site is about Russian and generally Eurasian nature, describing natural landscapes, main biomes and ecosystems, vegetation and wildlife, plants and animals, for those who are interested in biology, geography, nature trips and wildlife. There is a Physical Geography section that describes Tectonics and Geology, Climatic Change, Climate, Soils, Rivers, Lakes, Seas, and Wetlands, Permafrost and Biodiversity. There is a Biomes and Regions section that describes different natural zones of Russia and Eurasia: Arctic Environments, Boreal Forests, Mixed and Deciduous Forests, Steppe and Forest-steppe, Arid Environments, The Mountains of Northern Russia, The Mountains of Southern Siberia, The Caucasus, The Mountains of Central Asia and Kazakhstan, Lake Baikal and The Far East. There is Environmental Problems section that describes such themes of Northern Eurasian environment as: Radioactive Contamination, Environmental Impact of Oil and Gas Development, Air Pollution, The Aral Sea Problems, Deforestation and Degradation of Forests, Nature Protection and Conservation. There is an Images of Russian Nature section that contains scientific photographs of Eurasian nature - fungi, lichens, plants, animals and natural landscapes. All pictures are made by professional field biologists and geographers during their expeditions all over the Russia and former USSR countries. This section contains a few thousand of images that you can find using Geographic Index (all objects are separated by countries and nature geographical zones), Systematic Index (all objects are separated by their systematic position) and Alphabetical Index (all objects are separated by their scientific Latin names according to the alphabet). 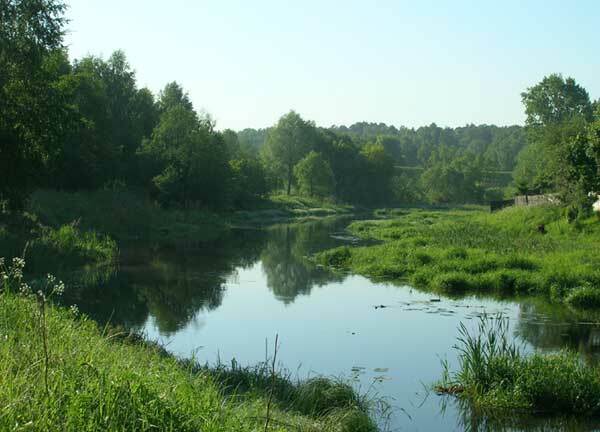 There is a Russian Nature Protected Areas section that describes 134 nature protected areas of the Russian Federation: Nature Reserves (Zapovedniks) and National Parks. You are welcome to browse our site!